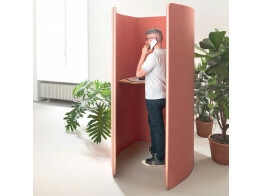 Office Phone Booths have now found a new use within the modern office environment. 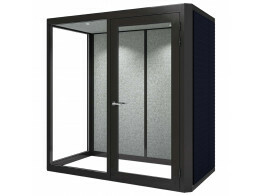 They provide single person privacy booths giving privacy for personal calls, telephone interviews, a private place to work or to carry out one-to-one video conference or Skype calls. 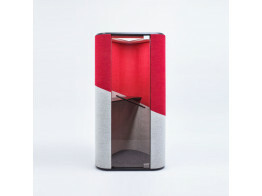 Introducing Office phone booths into the workplace solves many problems associated with staff leaving the office to make calls or using larger meeting rooms for privacy, thus wasting meeting room space where it might better suited for larger groups who need the space. 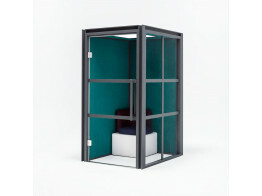 Aprés Furniture provide an extensive range of privacy office booths for office suited to solving various problems where staff might need that little space to find shelter in for a few minutes. 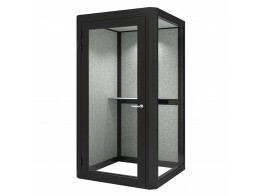 Office phone booths are perfect in that they are un-fixed and can be easily moved to any place within the office by the facilities management. 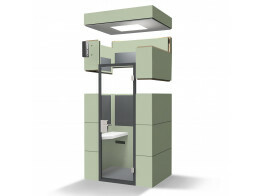 Bricks Phone Booths are effective soundproof privacy units for single users to make calls. 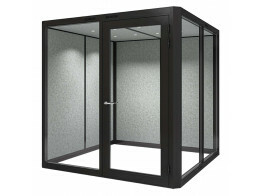 Mainly used in open spaces where it is necessary to have small isolated and quieter areas to make business calls. 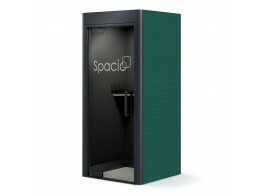 Spacio Mini Phone Booth is a compact 1016 x 1016mm office privacy unit for calls.